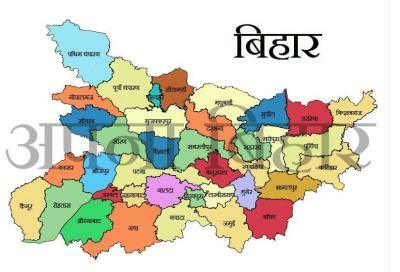 Bihar State Land Record Online Search for Bihar Apna Khata (बिहार अपना खाता) abhilekh Land Record, Bihar Apna khata Bhulekh Khasra Khatauni Online and Verification process and your account records online check at https://lrc.bih.nic.in…. The Government of Bihar and the state Department of Revenue and Land Reforms has provide the service to check Apna Khata by using your account (बिहार अपना खाता), and Bihar Bhulekh Khasra Khatauni biharbhumi online Bihar Bhunaksha mauja online Nakal service available for all land owners of the state to check their property status and download Bihar Bhulekh Khasra nakal online from the Bihar State IRC website. 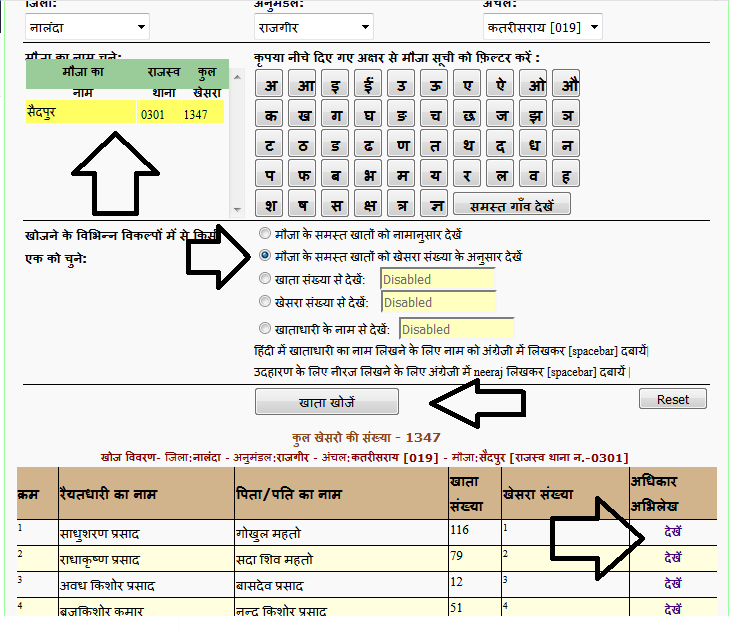 Bihar State Government and Revenue and Land Reforms has started the your account (अपना खाता) service to check online record status of patta or property through Bhulekh Khasra Khatauni Online and Verification and downloading of Bihar Apna Khata Nakal online from the Bihar Apna Khata abhilekh Land Record search service. We have providing step by step process to search or download your account (बिहार अपना खाता) for getting present online record status or details of your property under Bihar Department of Revenue and Land Reforms. The Bihar Government has provide the service from Bhulekh (भूलेख) web portal and land or property owners can get their account details using Apna Khata details from the following steps. And there is another way to search your Account details with selecting of Mouza details from the displayed mouza’s list, click on your responsible mouza from the list and click on search account option as per bellow image. Than you will seen bellow screen with list of Accounts and the owners list along complete details like रैयतधारी का नाम, पिता/पति का नाम and etc. Check once to confirm and take a copy of print out to use a nakal of Bihar bhulekh, Bikar Bhulekh Apne Katha nakal is only reference purpose to check the land owners details only and the copy is not valid to use legal purpose, for further information please visit your nearest circle office.